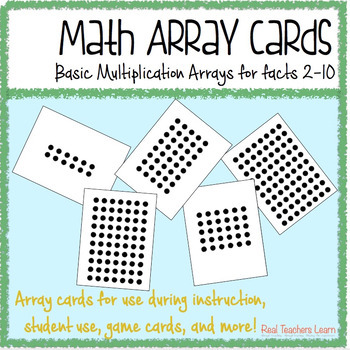 Multiplication array cards for facts 2-10. 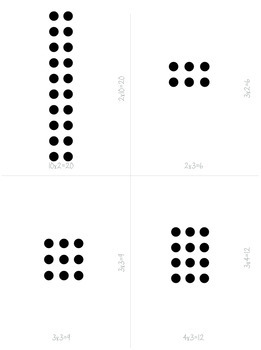 These cards are designed to be very simple and easy to use all year long during instruction (pop them under the document camera and write right on them, or laminate and use over and over), for student use (matching arrays, use as flash cards, or use for differentiation), or any other creative use! 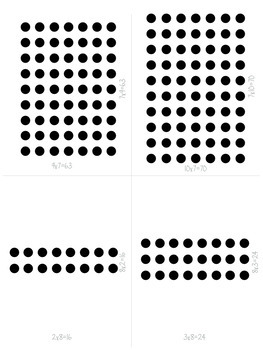 Black and white for fast printing- print on colored paper for a pop!